The tour guides of Annecy welcome you. 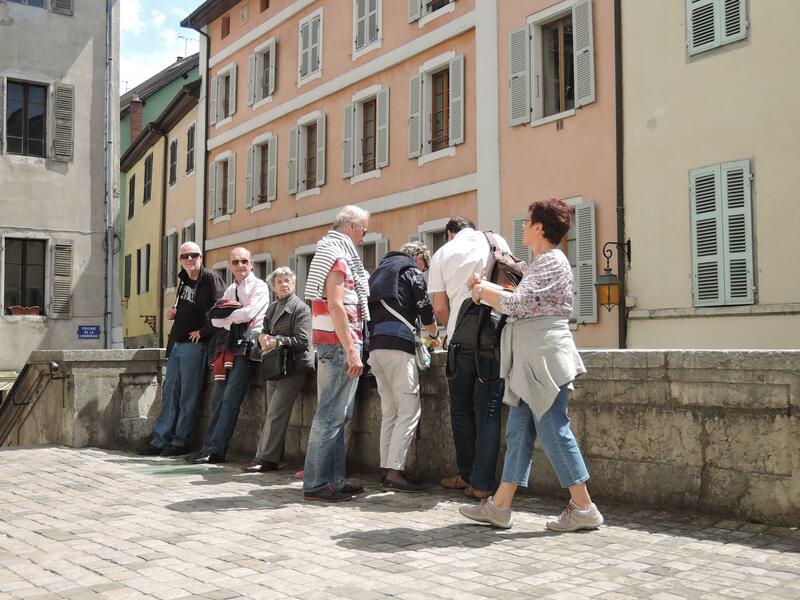 Throughout the year, the activity leader of the architecture and heritage and the team of tour guides plan guided tours of Annecy and its urban area. These guided tours are meant for groups and for individuals as well as the inhabitants. For a first touristic visit of the territory, the guided tour “A la découverte du Vieil Annecy” (Discover the Old Annecy) allows a discovery of the old center of Annecy with its principal landmarks at the heart of which is located the Palais de l’Ile, also called the Old Prisons, and the Castle. 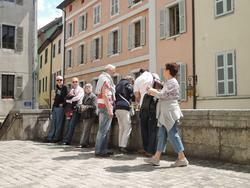 This guided tour is regularly planned from February to October, starting point at the Tourist Office. For further information, the tour guides and the activity leader of the architecture and heritage are coming with you off the beaten tracks in order to discover other heritages across the territory. During thematic visits grouped in a program entitled “Laissez-vous conter l’agglomération d’Annecy” (Hear the tale of Annecy and its urban area), your discovery leads you from the ancient remains to the architecture of nowadays.